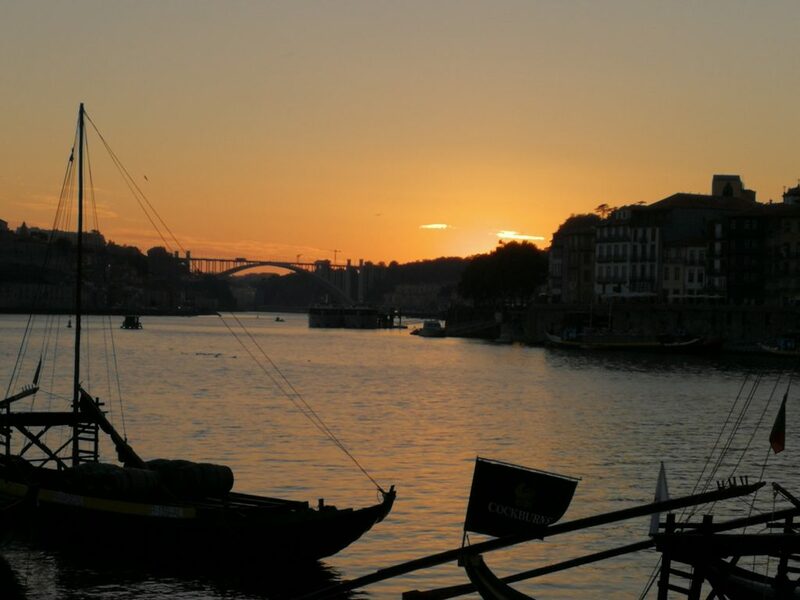 the Eurostar Hotel located right on the River Douro a short walk from the historic center of town. We had the afternoon to settle in and get our bearings by taking a walk around the waterfront and up the hill to the old town on the top of the cliffs along the river. We had been here a couple of weeks ago so we had some idea of where we were although at that time we had stayed at a hotel several miles down the river. We did stop with friends for a bite to eat at a local café where Kent and I tried the local sandwich called Francesinha. 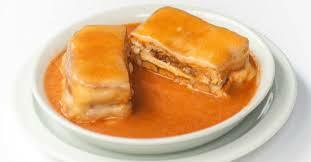 A Francesinha is a sandwich made with white bread, cured ham, linguica, fresh sausage, steak with melted cheese over it and a hot thick tomato and beer sauce over the top. Of course they serve this with fries and the option of a fried egg on top! At 6:00pm the entire group gathered to take a short walking tour of our new neighborhood, crossing the double decker bridge to the Gaia district on the opposite site of the river for dinner. The Gaia district is where most of the port wine has been processed and warehoused over the years and is a tourist area today with many restaurants, wine and port tasting rooms, along with ice cream shops. The restaurant where we all had dinner was called the Sandeman and is connected to the Sandeman Port Wine business which has been here since about 1797. 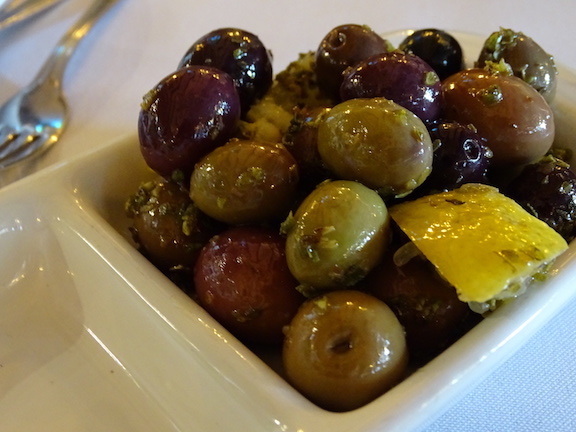 We started out the meal with plenty of red and white wine, olives, bread and appetizers if we liked. 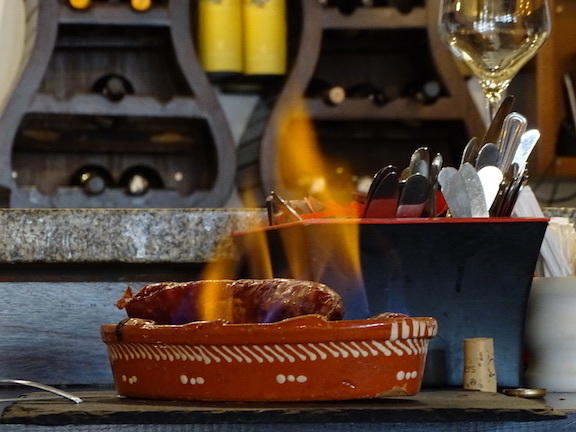 Kent had a sausage called Cachorro Quente which is prepared tableside over a fire. For entrees Mark had a delicious pasta carbonara and Kent had a wonderful and generous sized mango and mozzarella salad. 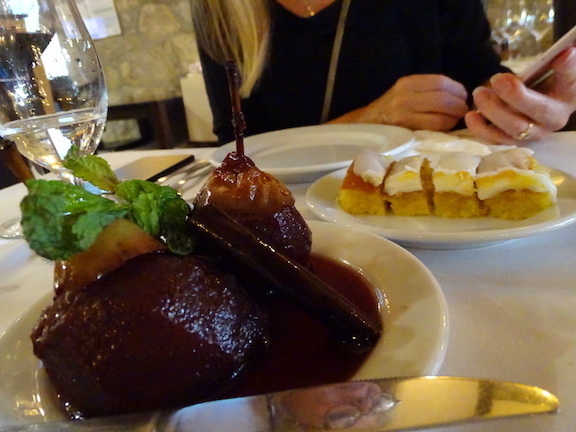 For dessert Kent and Christine Z., our group leaders, ordered drunken pears in port wine and a frosted sponge cake which were both delicious. Little did we know this was only the beginning of the desserts. 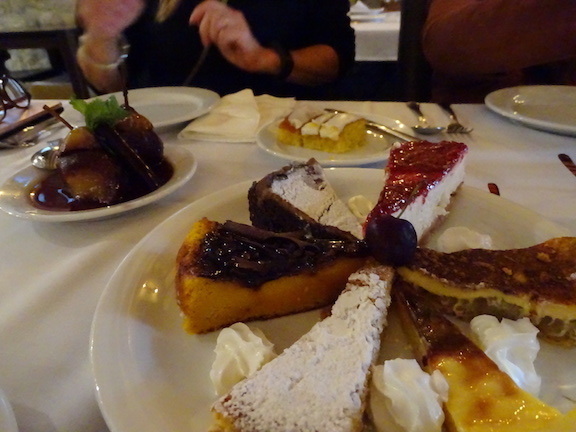 Next came a large plate with six more desserts for each four people to share. And if this was not enough then came the samples of the Sandeman port wines. We had a golden-colored White Port, a darker brown colored port called Tawny Port and then a dark reddish-brown port called Ruby Port. Everything was very good but it was way too much food. This entry was posted in Portugal 2018 by markcujak. Bookmark the permalink.